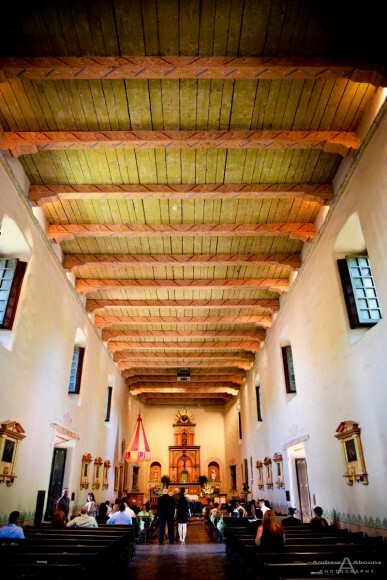 Mission Basilica San Diego de Alcala is the first of twenty-one great California Missions. 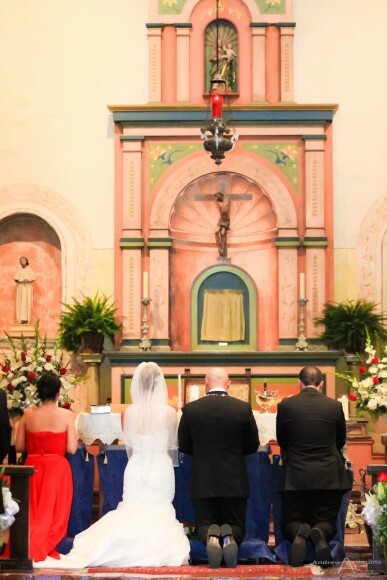 Founded in 1769, it marks the birthplace of Christianity on the West Coast of the United States. 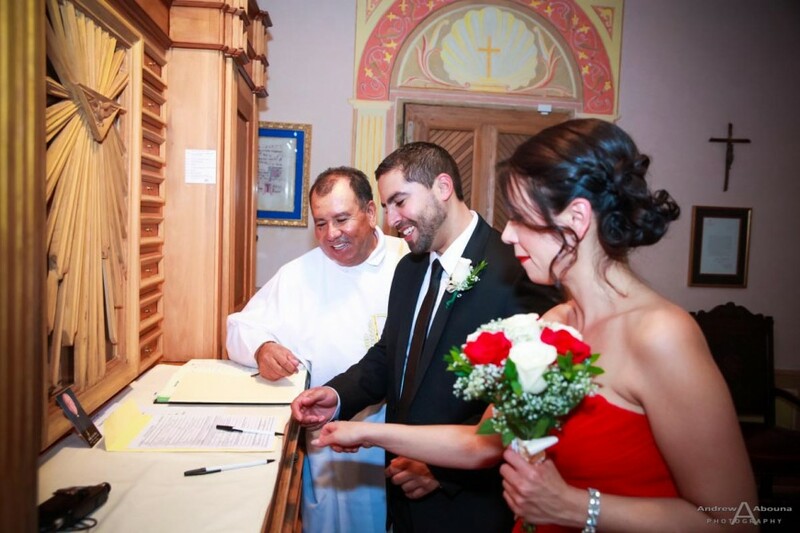 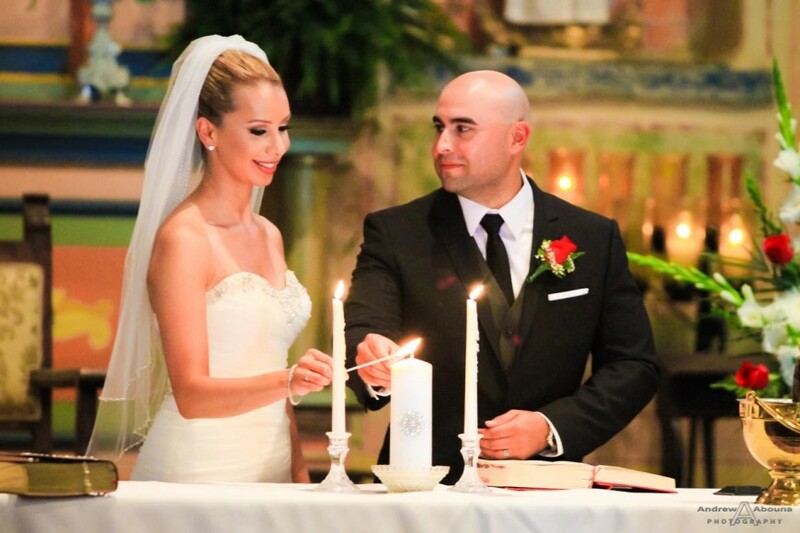 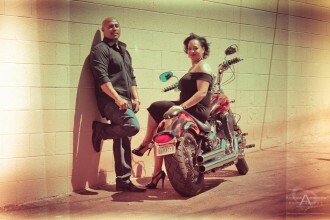 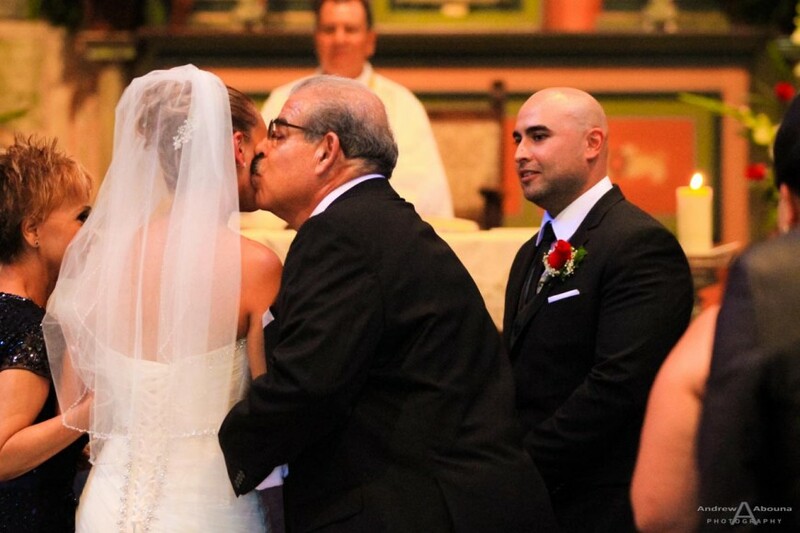 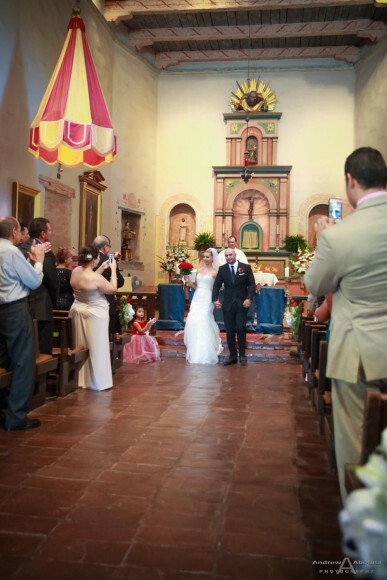 It was also the prefect location for Valerie and Raul who began their life together as a married couple. 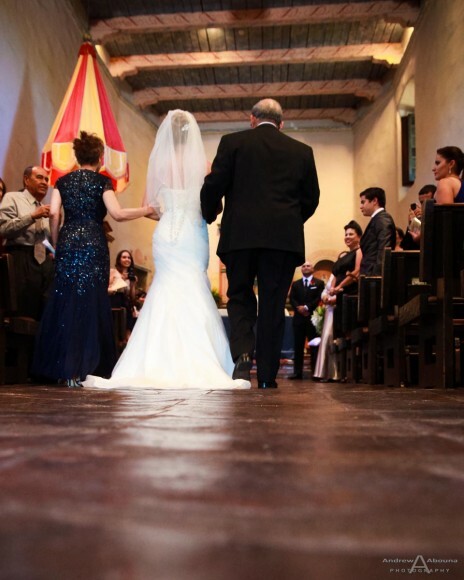 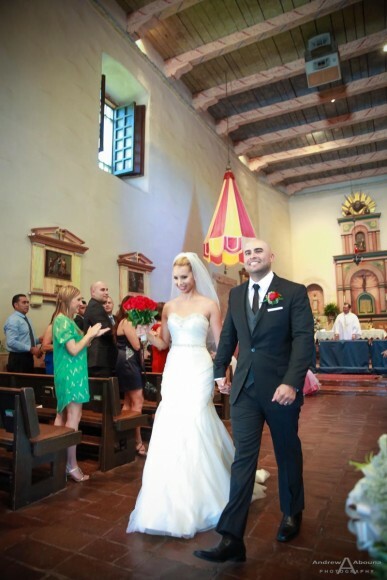 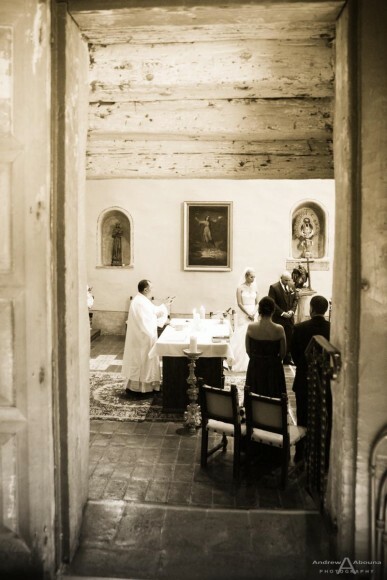 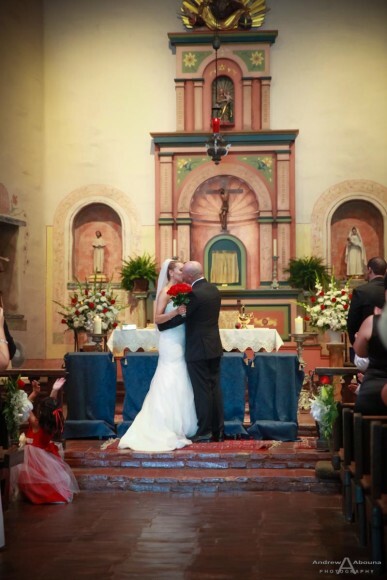 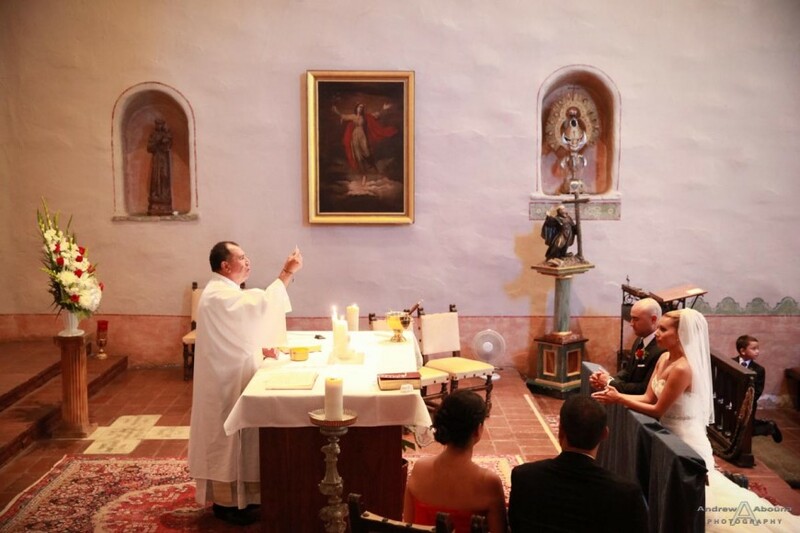 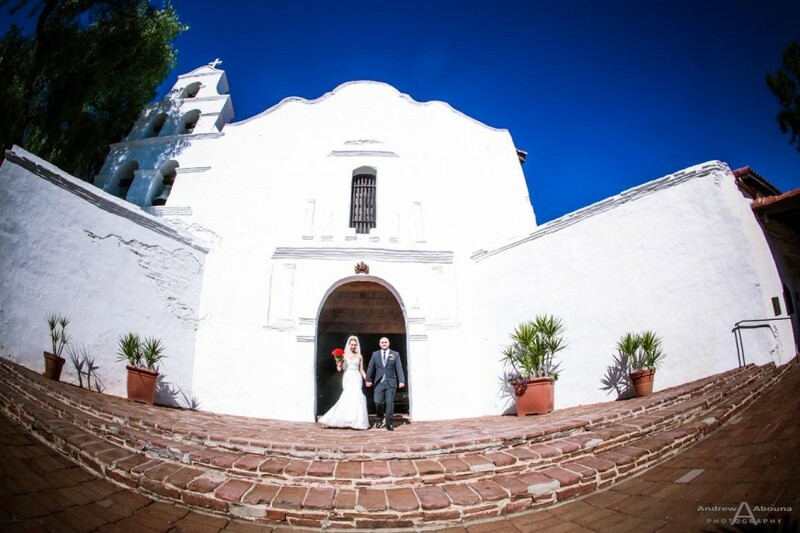 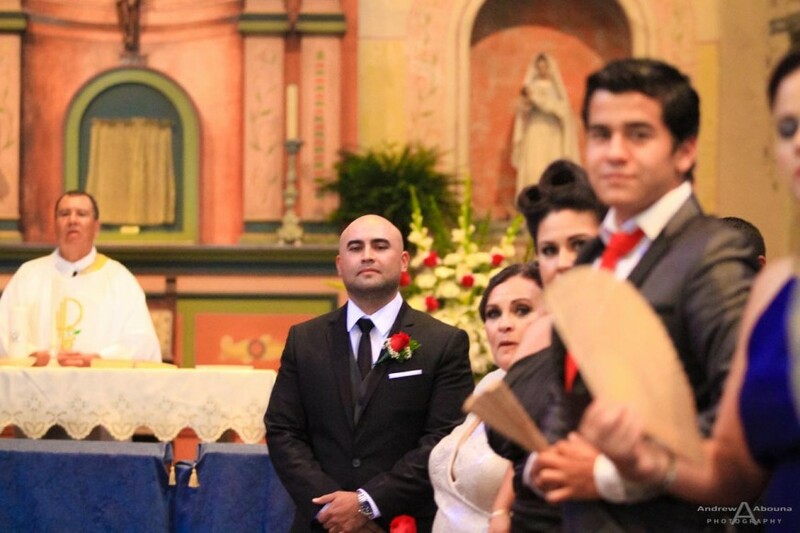 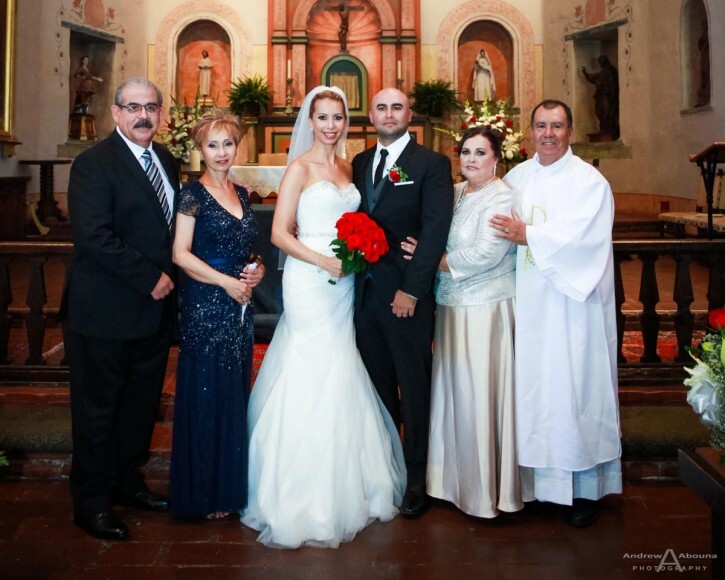 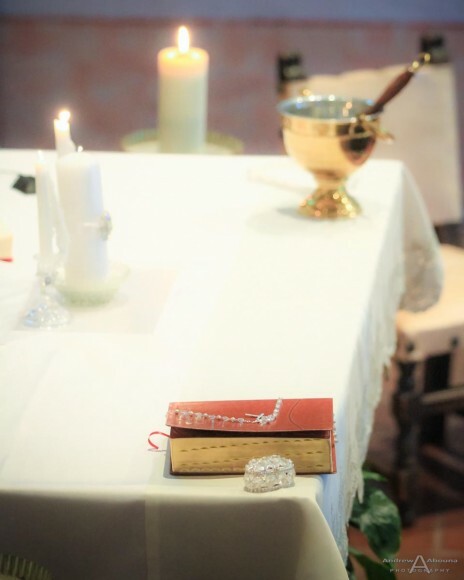 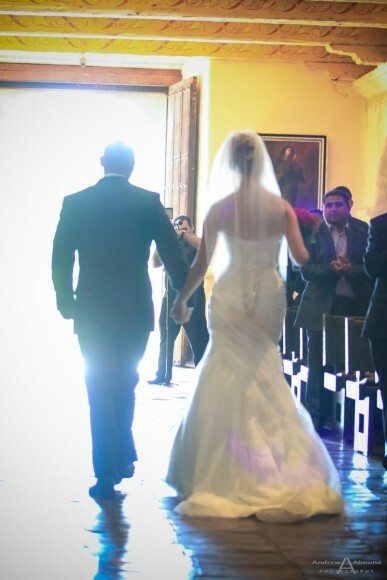 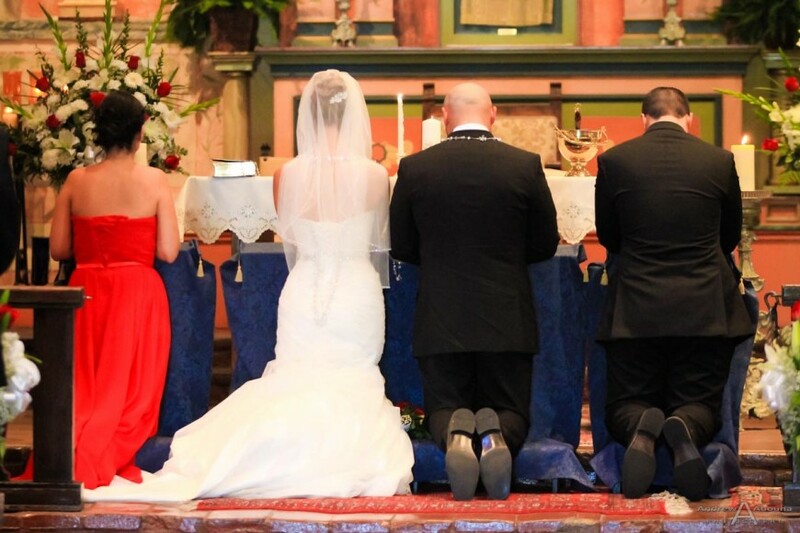 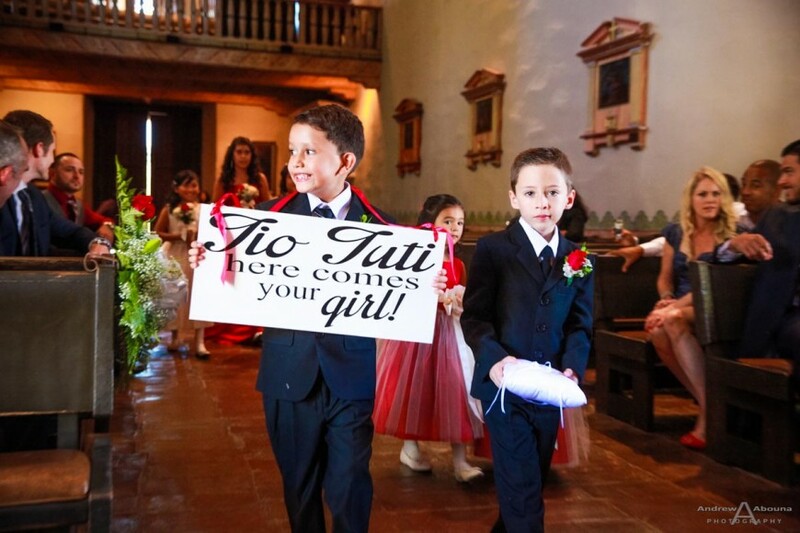 Their Mission San Diego de Alcala wedding was beautiful and a real joy to photograph. 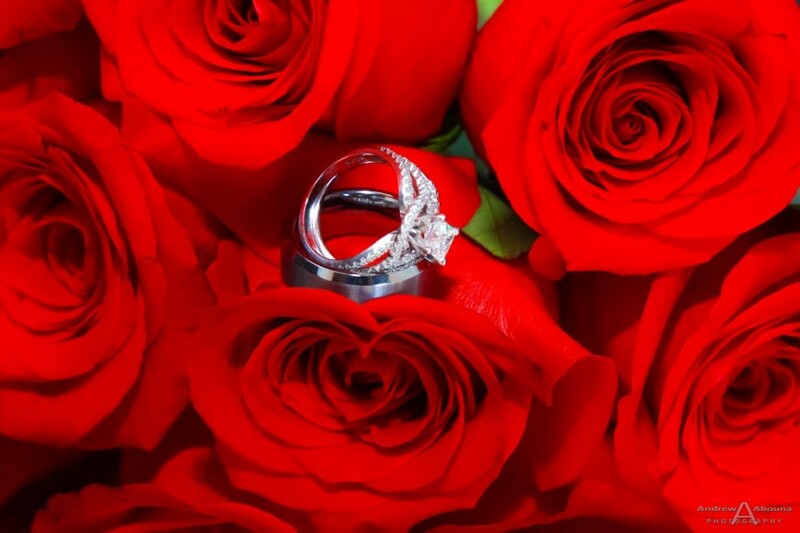 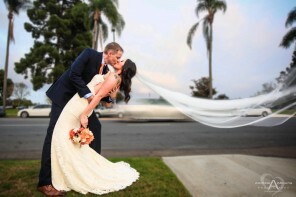 The couple’s wedding day photography actually began in downtown San Diego at Declan Suites, which is part of Symphony Towers where their University Cub San Diego wedding reception would be held later in the day. 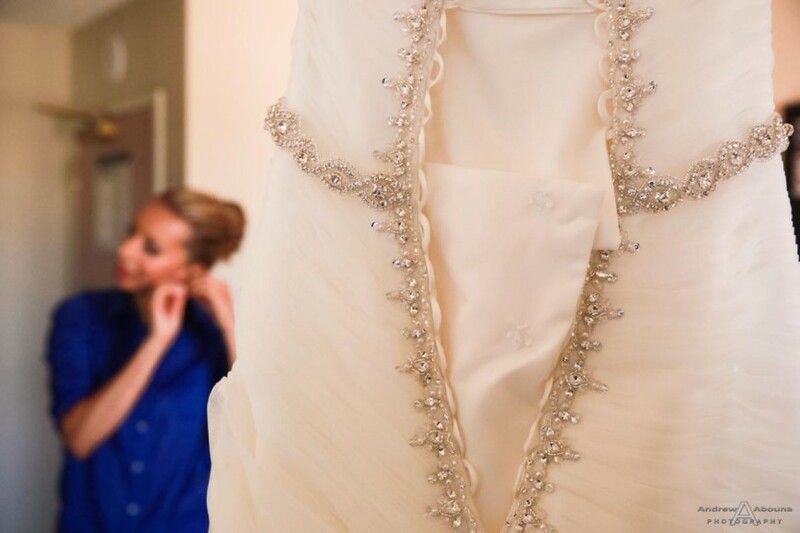 The first part of wedding photography started with capturing bride Valerie getting ready. 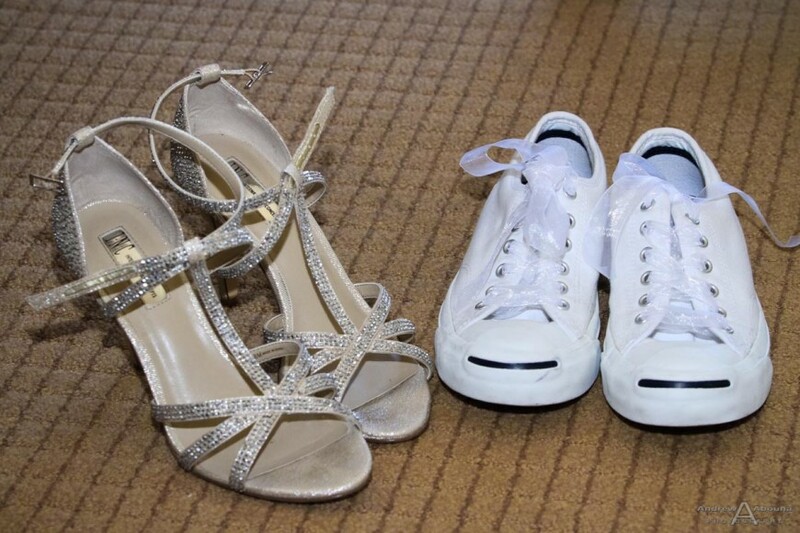 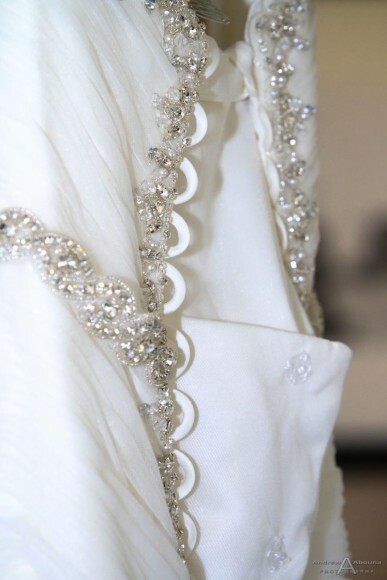 It was at this time in the suite where I also photographed her wedding dress, both before and after Valerie put on. 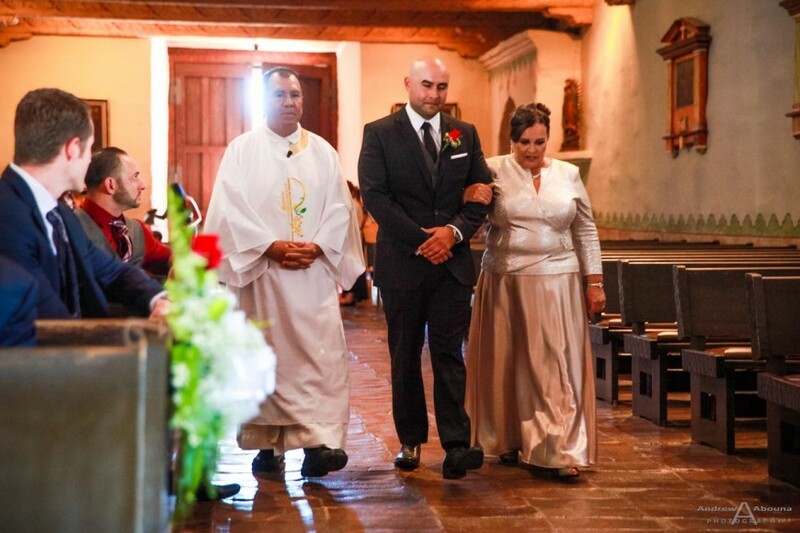 But before long it was time to make the short drive to the parish to meet with the groom Raul, and to prepare for the couple’s Mission San Diego de Alcala wedding photography. 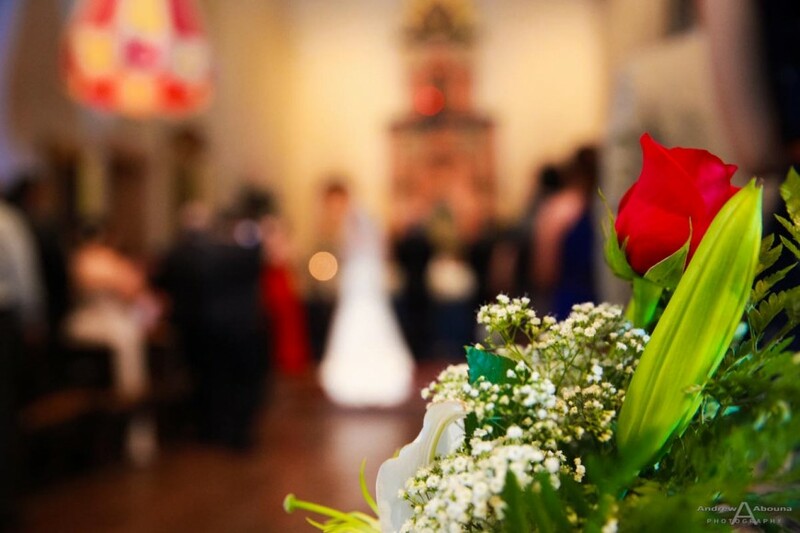 At the parish I also met with my assistant photographer, Chase, and we finalized our plan of working as two wedding photographers for the couple. 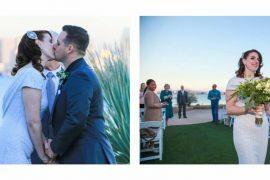 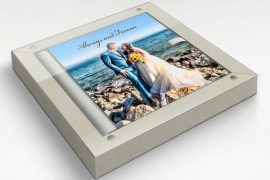 We structured our photography so as to capture all of the key moments of course, but we also planned to capture the same moments simultaneously from different perspectives. 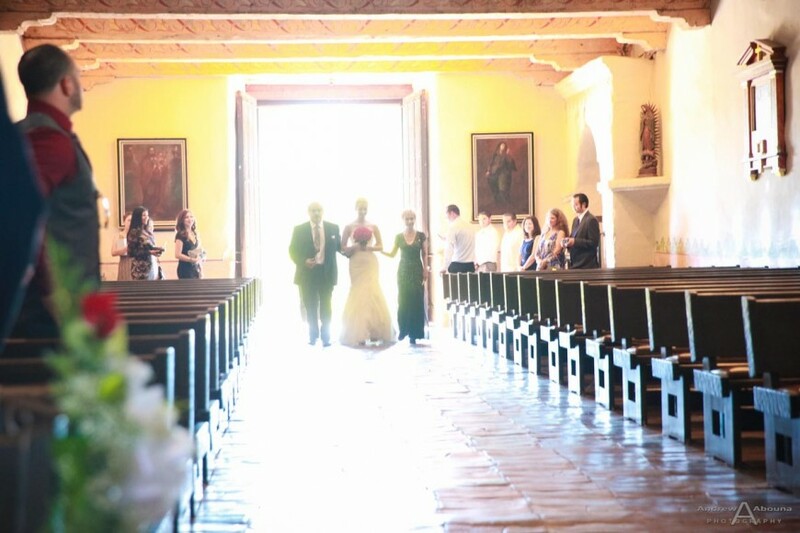 My style of wedding photography is unique on it’s own, but wedding photography can be made even better when it’s captured from different directions. 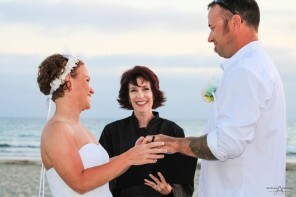 This is one of the benefits of using two wedding photographers. 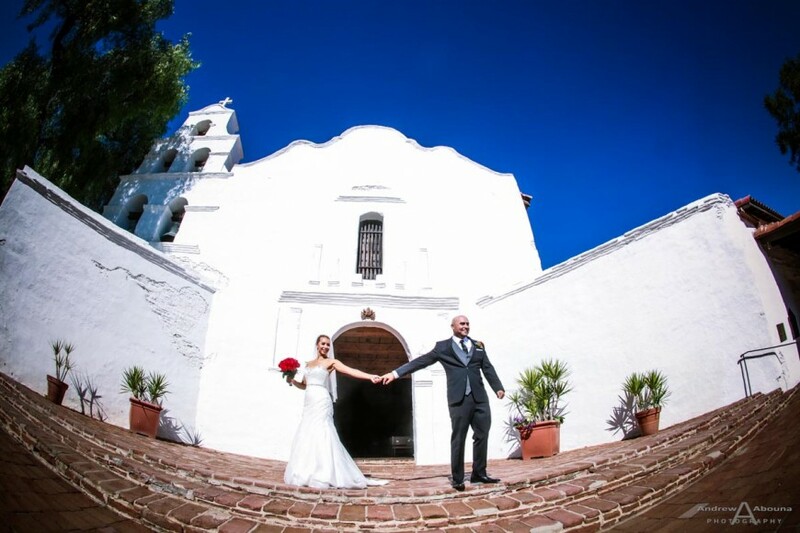 And in the case of Valerie and Raul’s Mission San Diego de Alcala wedding photography, with the larger space and multiple view points, the photography worked out beautifully as you can see here in some of my wedding photographer favorites for the couple. 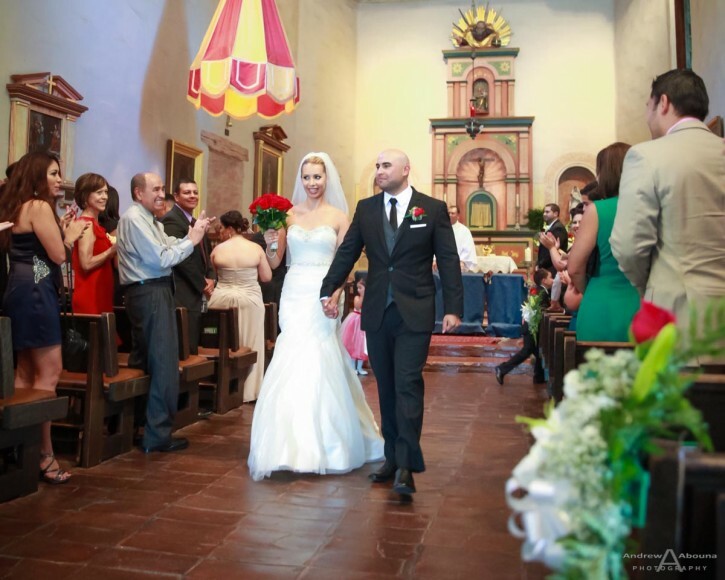 Valerie and Raul Mission San Diego de Alcala wedding photography captured all of the moments of their matrimony, guests arriving and being seated in the parish, wedding party preparation, the groom Raul walking up the aisle with his mother and father (and Raul’s father performed the service), bride Valerie’s entrance into the parish as viewed from outside and inside the church, her walking up the aisle accompanied by her parents, and the entire matrimonial ceremony. 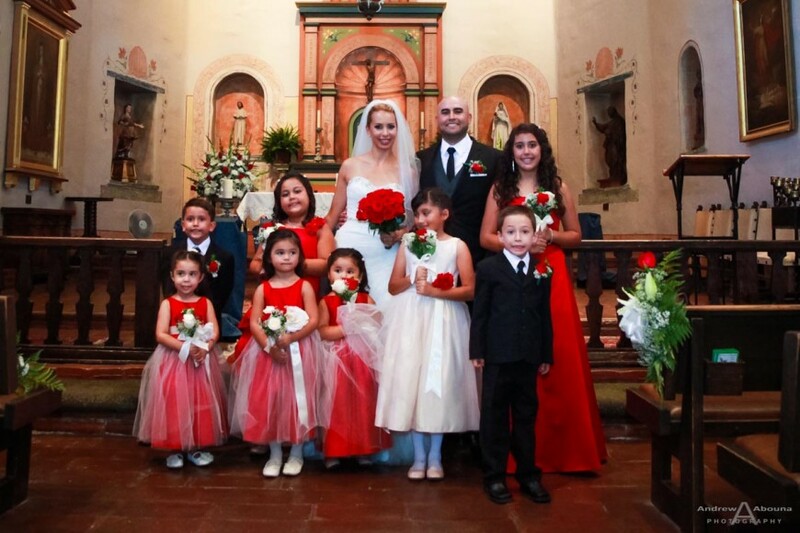 After the ceremony we created a collection of important posed family photos near the altar, as well as posed and creative photos in a few locations on the property of the beautiful mission. 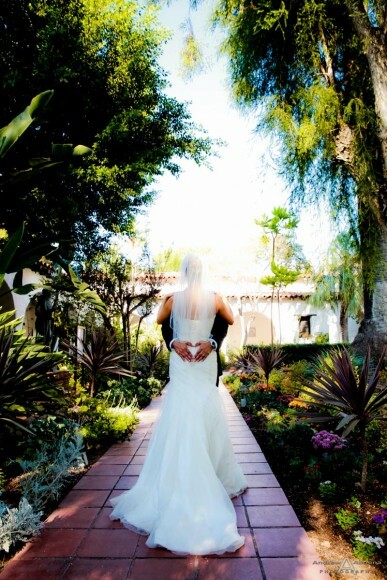 From here we were off to downtown for their University Club San Diego wedding reception. 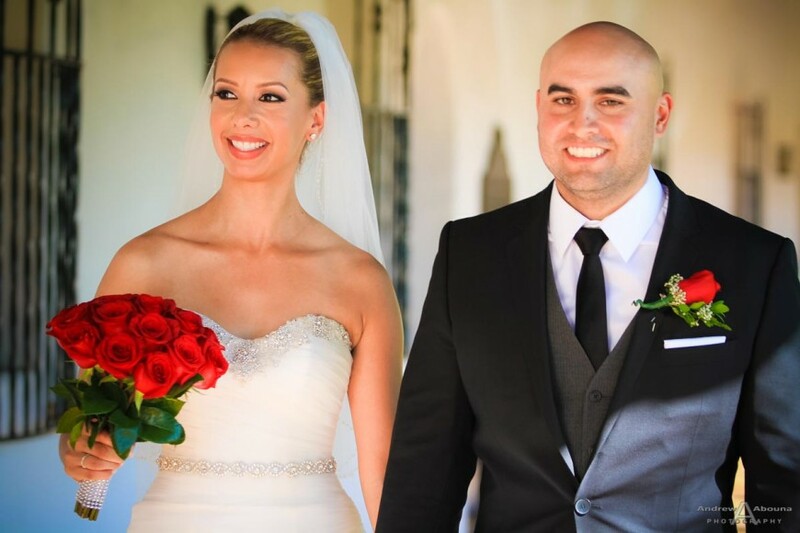 To see the complete collection of Valerie and Raul’s Mission San Diego de Alcala wedding photography, please visit my San Diego Wedding Photographer Client Galleries (password required).